Didn't see a thread for these guys yet. Looks like Murder on the Orient Express is up. Yeah the Nosferatu was a great print and MOTOE is pretty sick too. Picked up a variant. Pretty clever print with all the clues hidden within it. Pretty dumb that they don't put the artist's name anywhere in the description. Ayes wrote: Pretty dumb that they don't put the artist's name anywhere in the description. Yeah, noticed the same. Had to go the main page to see who the artist was (Johnny Dombrowski). Tease for their upcoming release. Don't try it, you drymount. Massive props to James @ BDP - I freaked out after USPS misplaced my Aguirre in December, but turns out it was just return to sender.. he kept things calm and I finally got it in today! 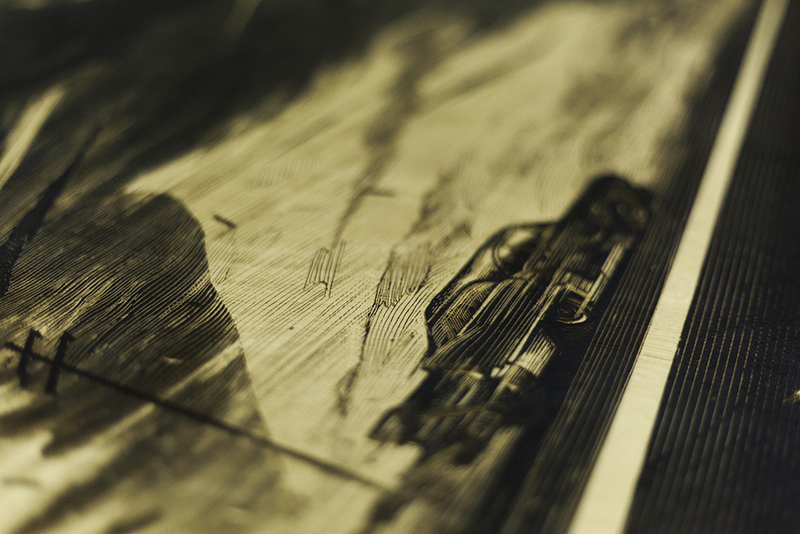 Close-up from the wood variant piece. Man that wood variant looks so so good. Any close ups on the smaller wood? Not the best pic in the world but you get the idea!